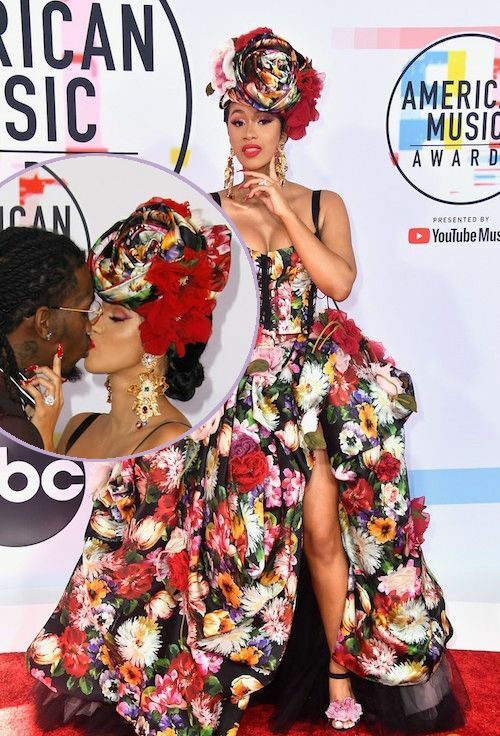 2018 AMAs RED CARPET: 'Best Rap Artist' Cardi B. Slays Hispanic Heritage Month With A LEWK, Hubby Offset, & A Win! 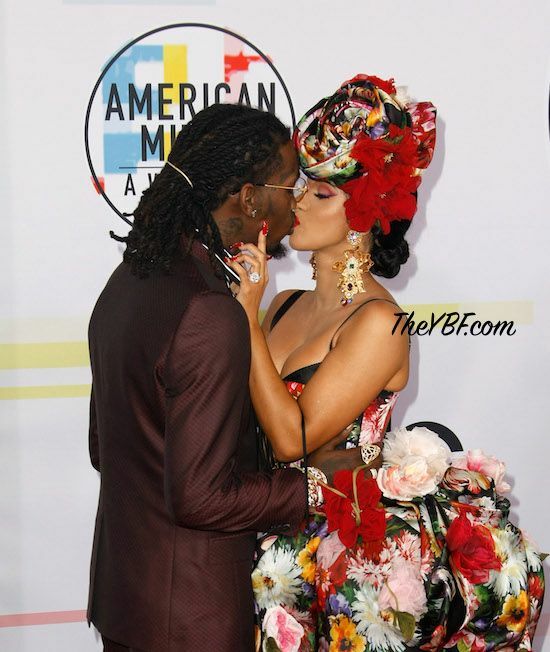 Kisses for the Mrs! 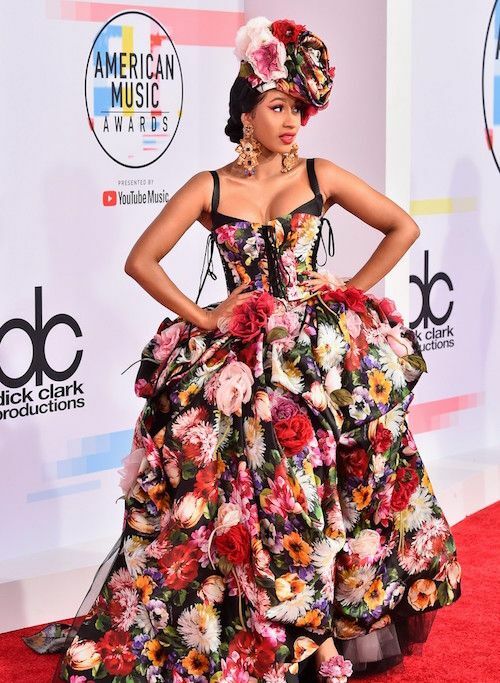 Cardi B. went full on floral for tonight's American Music Awards going own at the Microsoft Theater in L.A. 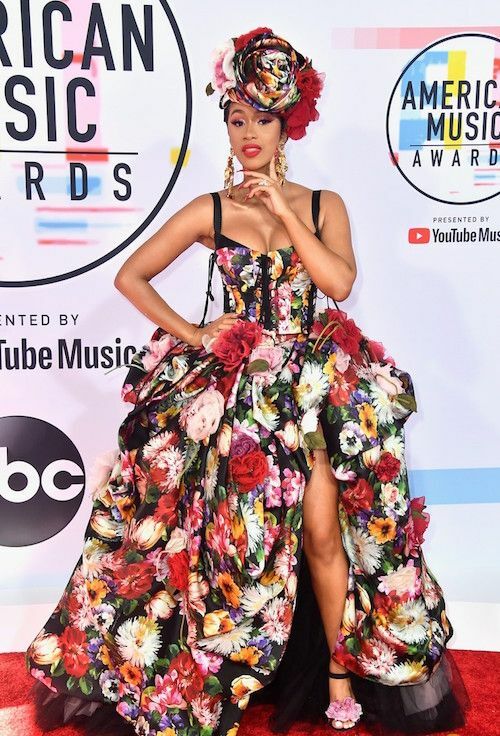 The look was a nod to Hispanic Heritage Month, plus the fact she was delivering the first televised performance of her, Bad Bunny's & J. Balvin's overplayed (but we still love it) hit "I Like It". 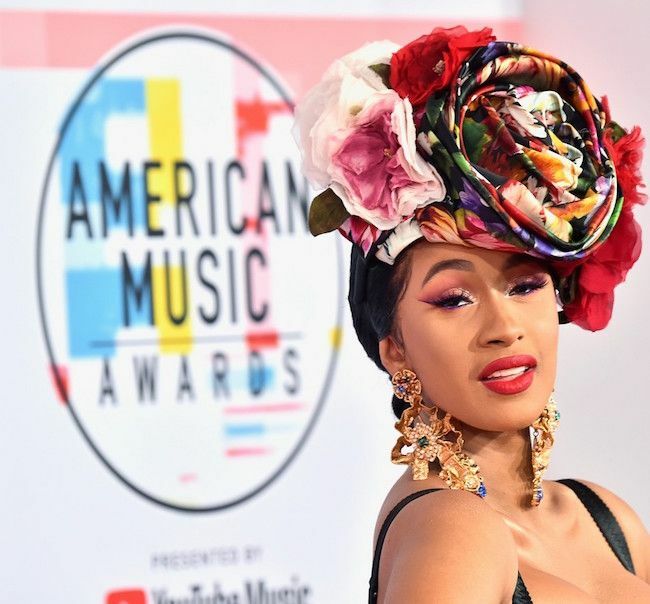 Cardi won the first award of the night, Best Rap/Hip Hop Artist, which is also her very first AMA win. 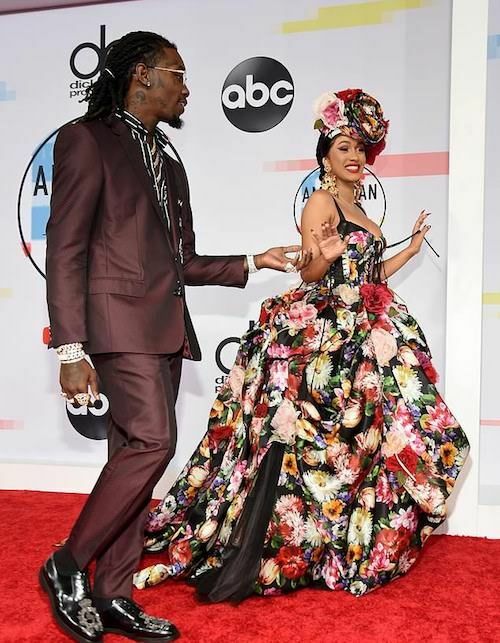 "I really want to thank my daughter. And not just because she's my daughter. 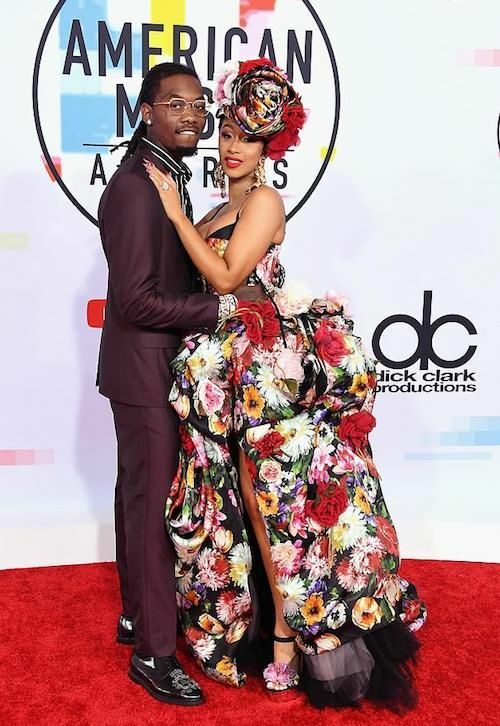 When I was pregnant, I was so influenced to be, like, 'Yo, I got to do this, I got to show people wrong. I got to prove people wrong.' 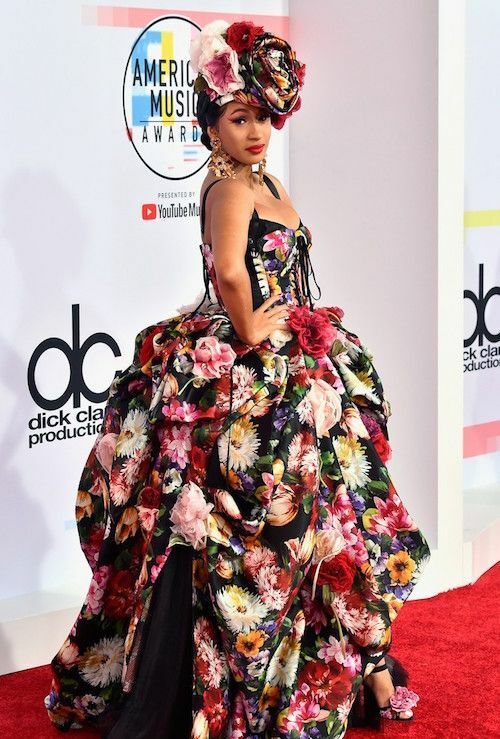 Because they said I wasn't going to make it after I had a baby." 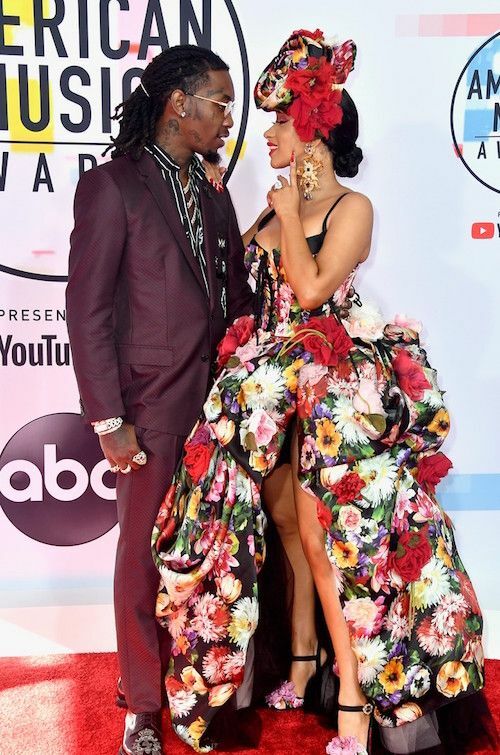 And her other half Offset and the Migos also won tonight for Best Pop/Rock Group. Congrats to the Cephuses! NEXT: Janet Jackson, Chaka Khan & LL Cool J Nominated For Rock & Roll Hall Of Fame!